During the conflict in Sri Lanka, communities in Mannar District were displaced between 1990 and 2007 and were resettled in their places of origin during 2009/2010. Despite housing reconstruction and rehabilitation of basic community infrastructure, there are many outstanding basic services and infrastructure needs in the district. Educational facilities are particularly inadequate with schoolchildren following classes outdoors or in temporary buildings without proper sanitary facilities, teaching materials or facilities for extracurricular activities. This affects the level of learning of the schoolchildren, which in turn limits their social opportunities and affects future employment opportunities. The absence of residential facilities for teachers has also resulted in a shortage of qualified teachers who are willing to undertake appointments to the area. The poor educational environment has resulted in lower teaching standards and academic performance compared to other areas in Sri Lanka. The lack of access to education facilities keeps people trapped in the vicious cycle of poverty and affects people’s decision to return to their places of origin after displacement. Marginalised children tend to suffer the most from inadequate schooling. This project will address the needs within the learning environment of 15 schools in Mannar district, including the construction of primary and secondary school buildings, teachers’ quarters and water, sanitation and hygiene (WASH) facilities for school children. It will benefit over 10,000 returnees including 5,500 school children. To contribute to the sustainable rehabilitation and reconstruction of conflict affected people in the Mannar District, Northern Province, Sri Lanka through the provision of an improved educational environment. UN-Habitat’s methodology for sustainable recovery from disasters, the “People’s Process” model, will be adopted to implement this project. This process involves mobilizing the target group into an integrated community. UN-Habitat will contract with the beneficiaries using community contracts (Community Implementation Agreements), thereby creating ownership and ensuring sustainability of the assets. Physical works will be carried out by Community Based Organisations (CBOs), with technical input from UN-Habitat. 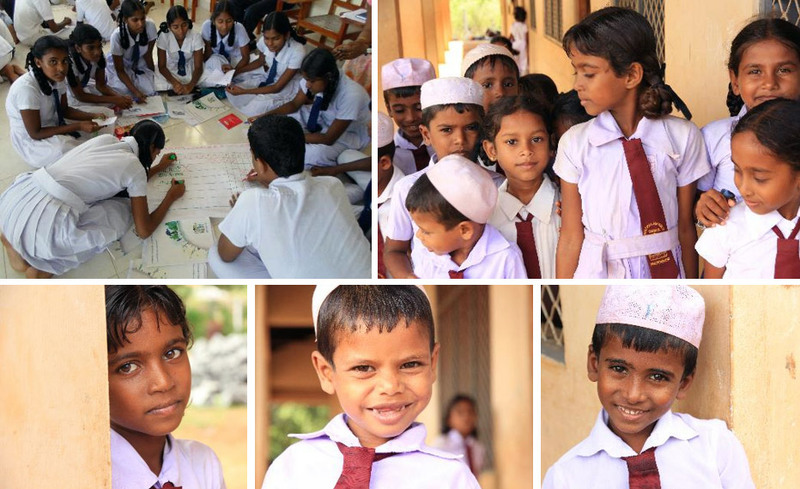 The school buildings and facilities will be owned by the Ministry of Education and included on its inventory, operated by the Regional Director of Education for the Mannar District, and maintained by the school administration in collaboration with the Parents’ and Teachers‘ Associations (PTAs). Throughout the project, UN-Habitat will facilitate the process by developing operation and maintenance guidelines in collaboration with all stakeholders. Partnerships will be developed to establish CBOs and communities as the key stakeholders providing leadership to planning, budgeting, and service delivery. Linkages will be established and encouraged with local development partners, including Government Agencies, to improve the educational environment, water and sanitation services, environment management and community infrastructure maintenance through networking and resource mobilization. The school construction will follow Child Friendly Schools (CFS) standards which aims at addressing disparities in the quality of education, school facilities and access to schools in different areas of Sri Lanka. Improved access to better learning space and environment for school children and teaching space and environment for teachers. Improved access to improved health and sanitation conditions for children and teachers. Improved quality of teaching to facilitate children’s learning. Construction of cost-effective, eco-friendly learning spaces in 15 schools. Improvement of WASH facilities in 15 schools. Installation of wells and water storage facilities in 15 schools. Construction of teachers’ quarters in 07 schools. Training of teachers in 15 schools. Training of children, parents, teachers, community members and Government officials on school maintenance and management.